Whether you are enjoying music on your smartphone/MP3 player or you are monitoring an important mix in the studio, the DH90 will provide a truly accurate and extremely pleasant listening experience. 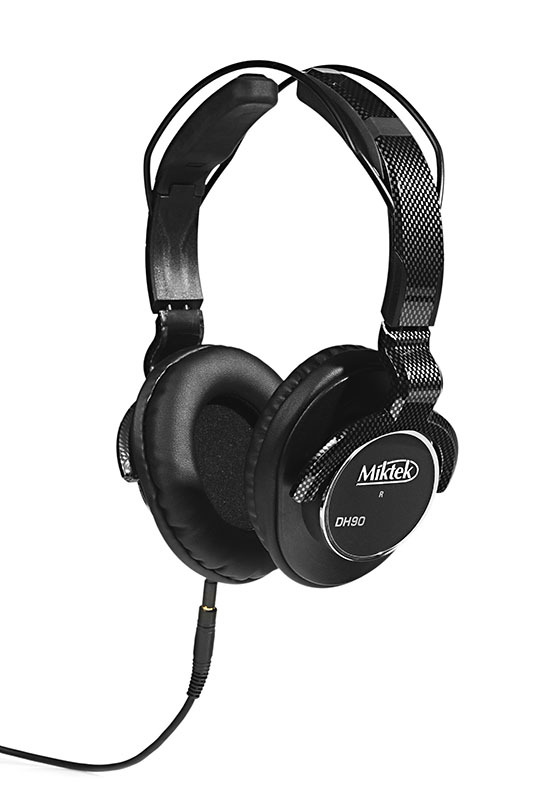 The Miktek DH90 is a closed-back circumaural dynamic headphone which will impress the most critical listeners. The DH90 has been designed using the latest driver technology, employing custom designed 40mm neodymium transducers. Special attention has been given to the acoustical porting in order to provide accurate stereo imaging and expanded sonic depth. The result is an extremely linear frequency response from bottom to top, with a bass response that is warm and tight, a midrange that is pleasant and true, along with a high frequency response that is sweet and smooth. In addition to the remarkable sound reproduction, the DH90 features an ultra lightweight design with an auto-adjusting headband. 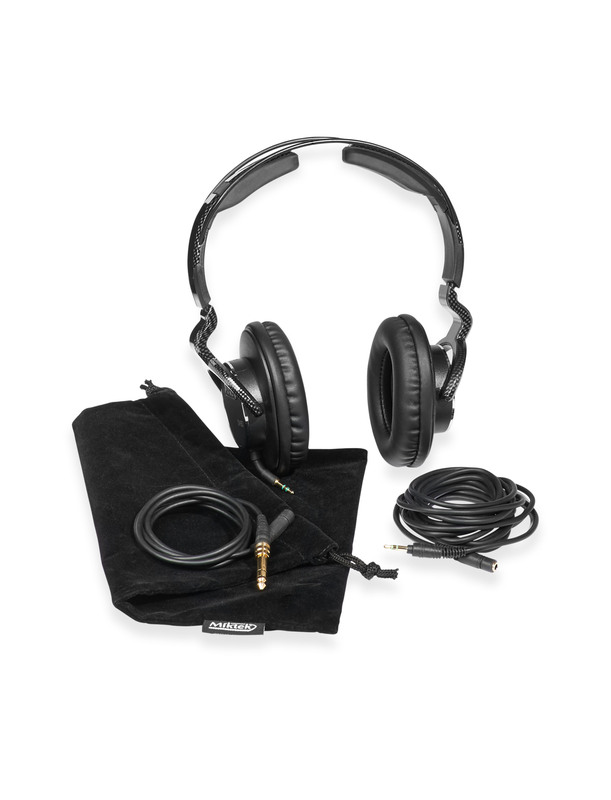 The DH90 is so comfortable, you can actually forget you’re wearing headphones! For convenience and added reliability the DH90 features a removable cable. Both one meter and three meter cables plus .25mm to .35mm adapterare included for use with smartphones on the go, or for your stereo set at home. The DH90 is stunningly beautiful with a stylish finish normally reserved for exotic race cars, featuring high-tech carbon fiber pattern against black on black with chrome appointments. Their quality build construction ensures an enhanced and reliable listening experience day in and day out. The headphone is an incredible value, visually appealing and professional in every aspect. 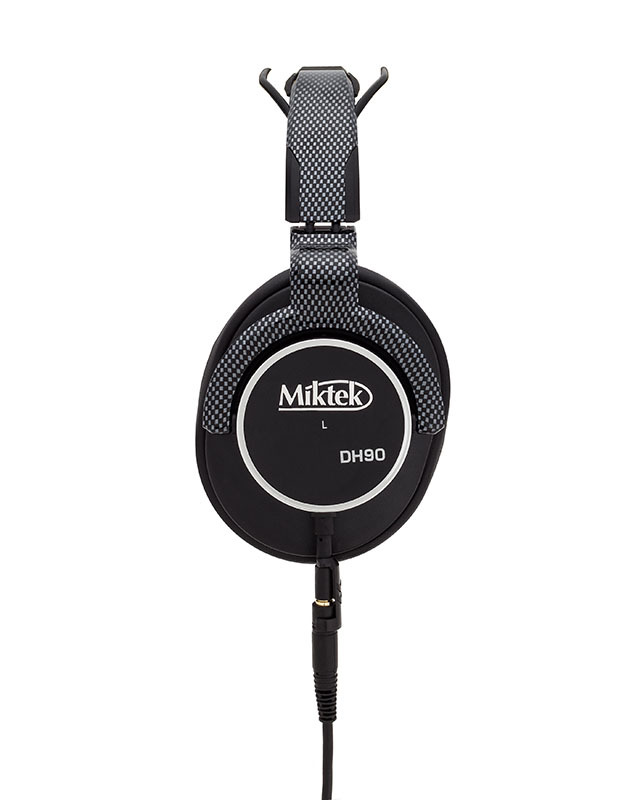 The DH90 headphone by Miktek provides accurate reference monitoring to help expand your recording and musical creativity and enhance any listening experience.